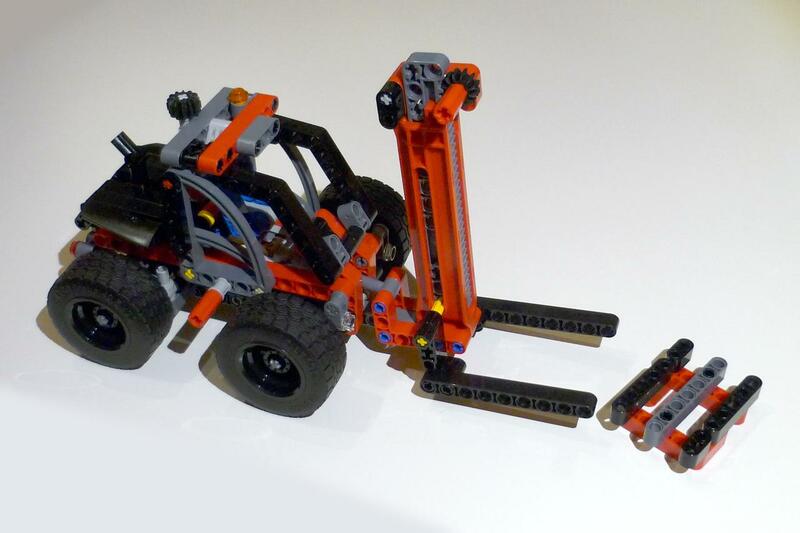 This forklift is an alternate model of 42061 Telehandler. The fork can be raised (gear rack with housing) and tilted (mini LA). It has back wheel steering (HOG, linkage). Cabin and back hatches lift up. I created PDF instructions (computer generated images). If you rebuild it and like it share a photo!